Earlier this week, CBS’s Radio.com reported that As I Lay Dying singer Tim Lambesis would be back in court today, July 18, at 9:30 a.m., for a hearing “to determine if the time Lambesis spent on house arrest will count as credits towards his prison term.” Today, Radio.com is claiming that Lambesis has been denied the sought after sentence reduction. The judge who was in court today was the same officiator who sentenced him to his original, and now withstanding sentence, of six years in prison. Radio.com detailed the hearing saying, “Judge Carlos Armour stated the law is clear, that credits only apply to inmates held in lieu of bail; he described Lambesis’ status as electronic surveillance while out on bail. “The GPS monitor was not a condition of bail,” and so he was technically not on house arrest, the judge determined. According to statements in court, Lambesis was privately monitored, not by the Sheriff who controls those in custody in San Diego County. And the judge denied the requested custody credits. 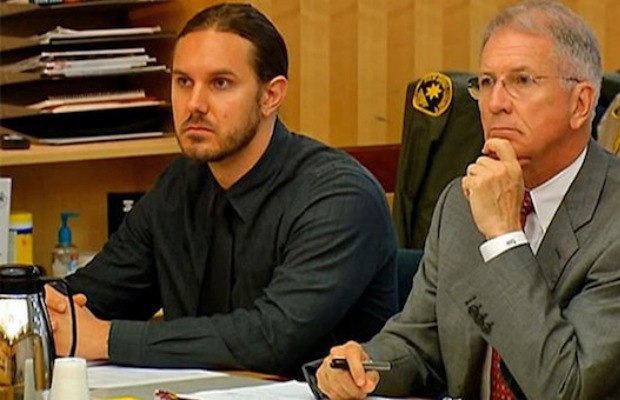 Lambesis received a six-year prison sentence this past May for attempting to hire a hitman to kill his estranged wife. In case you missed it, read AP’s exclusive interview with Lambesis prior to his sentencing.